A serious jobsite injury can make it impossible to work at a time when you face numerous unforeseen expenses. Find out if you have grounds for a personal injury claim by consulting with a Boise construction accident lawyer. It’s no secret that construction is a dangerous profession to work in; however, many injured workers don’t realize that under certain conditions, they might be able to seek better compensation than what work comp insurance provides. These criteria aren’t always clear-cut, which can make it difficult to know if you have grounds for a case. To make matters worse, construction accident injuries often require expensive and ongoing medical care, leading victims to suffer serious physical, emotional, and financial consequences. 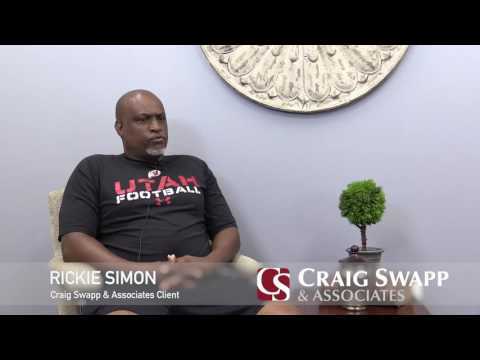 A Boise construction accident lawyer from Craig Swapp & Associates can help you recover the compensation you need to cover these costs and help you move on. Safety in construction environments is always a concern when the risk of accidents is present. Even the smallest error can have devastating consequences, leading to a permanent disability or the death of a loved one. Slip, Trip, and Falls – Falls are the most common cause of construction accidents. Debris, obstructions, and slippery surfaces can cause serious or fatal injuries. Falling Objects – Falling debris and tools or a roof collapse can easily cause severe injuries to those standing below. Scaffolding and Ladder Accidents – Defective ladders and scaffolding can lead to both falls and falling objects alike. Electrocutions – These accidents commonly occur when workers are not aware of a live electrical current nearby or when a power line is hit while excavating or digging. Heavy Machinery Accidents – Workers can get injured when equipment such as forklifts, cranes, and other heavy machinery isn’t operated safely. Explosions – Working with hazardous toxic chemicals and materials can lead to gas leaks and explosions, especially if welding or electrical work is taking place nearby. If your workplace accident meets the requirements for a personal injury claim, the next step will be assessing the full value of your lawsuit. This will largely depend on what sort of injury you suffered, and this will determine what medical care your recovery will require and if you can expect to return to work and when. A Boise construction accident lawyer from our firm can work closely with your doctors to make certain that your claim accounts for all of your current and future medical expenses. For example, if you suffered a brain injury or spinal damage, long-term medical care is highly likely. As is the need for medication, medical equipment, and special accommodations. And that doesn’t even account for the effect on your quality of life, as your physical activities and personal relationships are certain to be impacted. On the other hand, if you sustained a broken bone or burn injury, you’re likely to recover in time, but that doesn’t mean you shouldn’t be able to seek compensation for your pain and lost wages in the meantime. Even then, a burn can easily result in permanent disfigurement, and a badly broken bone can put you at high risk for re-injury. Every construction accident is different, and the details of each case are complex, requiring an enormous amount of investigative research and legal know-how. A Boise construction accident lawyer can help you ensure that the settlement you receive is fair and comprehensive. The financial repercussions of a construction accident can be catastrophic for your family. While it’s essential that you get the settlement your injuries deserve, the insurance or at-fault party isn’t going to be interested in paying you any more than they absolutely have to. This is why it’s crucial to have an experienced attorney on your side. Because getting compensation for a construction accident can be so confusing, it’s perfectly normal to have questions about what you should do next. In this section, we’ve answered a few of the more common questions. If you would like more information, please contact us directly so that you can speak with a Boise construction accident lawyer. Can I file a lawsuit if my family member died in a construction accident? It’s possible that you might qualify to file a wrongful death claim. This would allow you to seek damages similar to a personal injury lawsuit, with the addition of funeral expenses and lost guidance. Who is responsible when faulty equipment or machinery causes a construction accident? It depends on where in the process the defect was caused. Liability could be the responsibility of the designer, manufacturer, distributor, or retailer. In some cases, an advertising company could even be to blame. How can I prove that my employer caused my workplace accident through egregious negligence? Proving gross misconduct usually requires proof that the employer was aware of the risk and did nothing to correct it. This could take the form of a history of OSHA violations or even complaints filed by employees. The dangers of working in construction can have devastating consequences for workers and their families. When the negligence of another causes you to suffer severe and debilitating injuries, life as you know it might never be the same. Craig Swapp & Associates is committed to aggressively helping you get the most possible compensation so that you can recover to the fullest extent possible. Call us today at 1-800-404-9000 or complete the form below to schedule a free consultation with a Boise construction accident lawyer. There is never an obligation to proceed, so there’s no risk involved in learning about how we can help you.